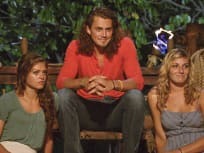 "It's a Fickle, Fickle Game"
On Survivor: Worlds Apart Season 30 Episode 14, the final castaways get a visit from loved ones and are later interviewed by the jury before a winner is declared. 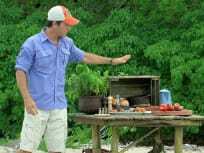 On Survivor: Worlds Apart Season 30 Episode 13, the two teams compete in a rewards challenge as yet another castaway is voted out of the game. "Holding On for Dear Life"
On Survivor: Worlds Apart Season 30 Episode 12, a reward challenge leads to an orphanage and after tribal council, some castaways are left scrambling. 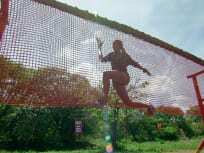 On Survivor: Worlds Apart Season 30 Episode 11, one player uses his entire body as a bridge during a reward challenge while an immunity challenge has a twist. On Survivor: Worlds Apart Season 30 Episode 10, one castaway lashes out when their integrity is called into question while another gets a a game-changing opportunity. On Survivor: Worlds Apart Season 30 Episode 9, one castaway creates a fake idol in order to avoid being eliminated. On Survivior: Worlds Apart Season 30 Episode 8, team members strategize as they head into another challenge and yet another castaway is voted off. "The Line Will Be Drawn Tonight"
On Survivor: Worlds Apart Season 30 Episode 7, yet another castaway will find themselves voted out of the game. On Survivor: Worlds Apart Season 30 Episode 6, after a shocking tribal council there is one castaway who ends up struggling to fit back in with the tribe. On Survivor: Worlds Apart Season 30 Episode 5, when one player attempts to flex his power it may prove to be his biggest mistake of the game. On Survivor: Worlds Apart Season 30 Episode 4, alliances may end up meaning nothing when the tribe members have to drop their buffs and switch teams. 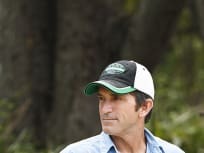 On Survivor: Worlds Apart Season 30 Episode 3, the Blue Collar Tribe begins to crack when arguments erupt over show will do the chores someone's strategy backfires. "It Will Be My Revenge"
The fractures in all three tribes begin to show when everyone starts turning on each other, leading to another shock tribal council on Survivor. The blue collar, white collar and no collar tribes must go head to head in a battle to win that $1 million dollar prize on Survivor. I saw your smile and your big bright eyes. I was like, instant connection. Permalink: I saw your smile and your big bright eyes. I was like, instant connection. I want to get all the girls. I'll be their leader and i'll take them to the merge with me. Permalink: I want to get all the girls. I'll be their leader and i'll take them to the merge with me.